Succumb to this piece of stroage made with finesse. For a taste of yesteryear which enters your home and revives your decor. In the kitchen, fill it with spices and herbs; in the bathroom, adorn it with beauty products; or in the living room, fill it with books and knick-knacks. 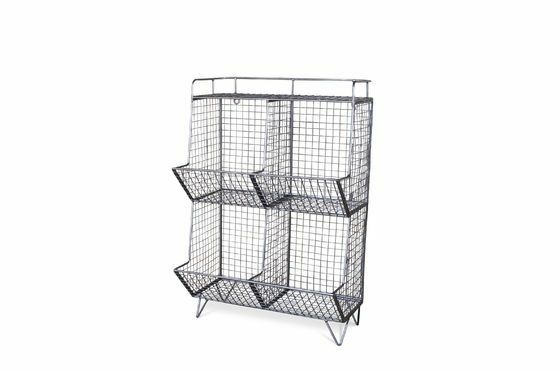 The 4 Section Storage Ontario will flourishe in every room. 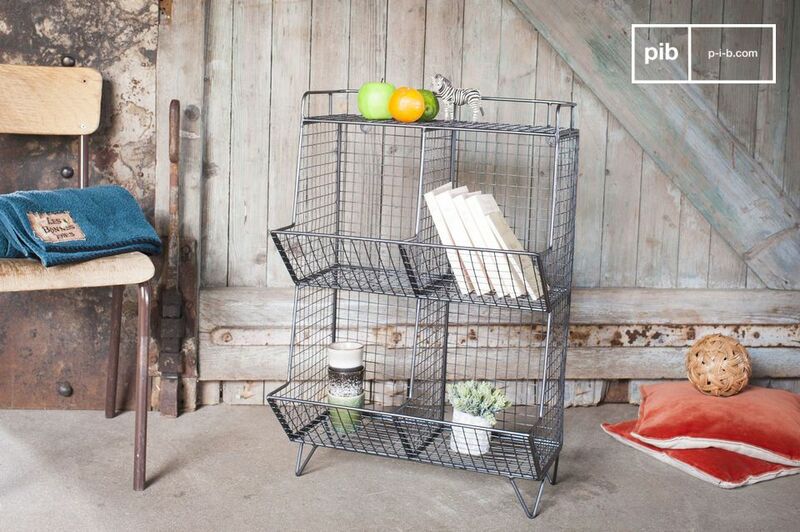 Stable and full of charm, thanks to its flared base, this 4 shelved sturdy metal storage is protected by a colourless varnish. 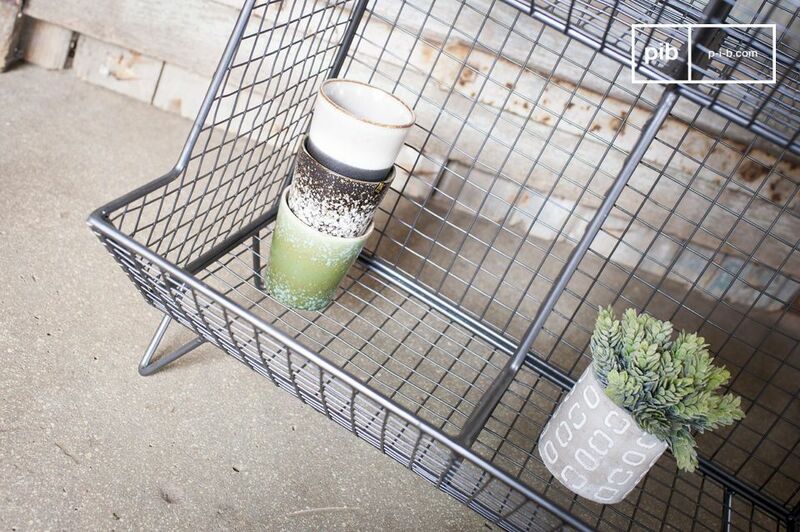 You will love the shelf trays, like a vintage dispenser, to put anything you want on it without the risk of falling. This handcrafted object is a real source of inspiration. 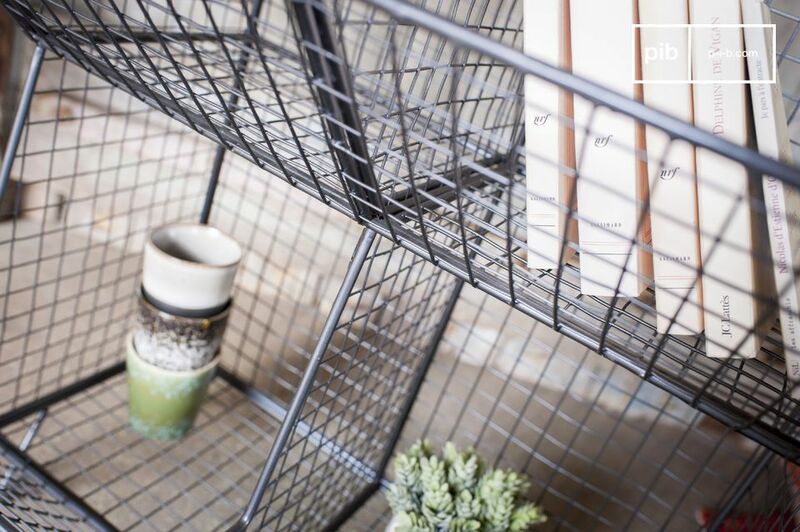 Let your imagination run free and decorate its wire mesh by hanging elements of it!